1) Happy Birthday, Minar! 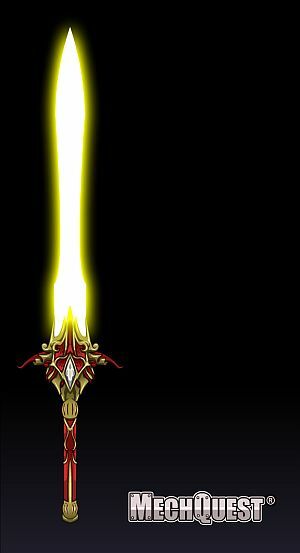 Log in now to commemorate our beloved former MQ artist Minar's birthday with a new e-blade! 2) New Mission Coming This Weekend! Check back to have a first look at some permanent content! When it's ready, you'll access it via Soluna Main - in the future, when Soluna North is ready to roll, that will be its permanent home. Are you passionate about MechQuest? Do you have an eye for detail and a nose for news? Do you want to help find the Gremlins (hunt the bugs) so we can get them fixed? We need a couple of qualified volunteers to join our Bughunting team! Are you an artist and/or animator who uses Flash? Do you love creating mechs, high-tech weapons to equip to them, and perhaps even animating your creations? We are also looking for volunteers to add to the MechQuest development team. We especially need artists and animators who can provide the game with new mecha-equippable weaponry. *Note on age: we are really looking for artists over the age of 18 but will consider taking on younger talent on an apprenticeship basis. Artists: please include samples of your Flash art and/or animation. It would be great to see work done in the MechQuest style, but we are interested in seeing a good sample of your range. Star Date 22 March, 3013: The Rainbow Raid Mini-War is going rather slowly, likely because you are busy fighting the Shadowscythe at Odessa's War Camp. Hurry up and head over to Braddock Steele in Soluna City (Main Street) to wrap up the Rainbow Raid and get your NEW "Clover Shot" Back Arm weapons! The specials include credit-stealing, a Luck boost, chance for a critical hit, and "Cloverloaded" Damage Over Time. Thanks to Plasma Charge for the new animation & modifications (to an existing base weapon design) - also for the specials idea, which Vivi coded. We also put together a promo Front Arm for the Artists of Artix Entertainment Sketchbook coming soon to HeroMart - Thyton's Magitech Scythe. 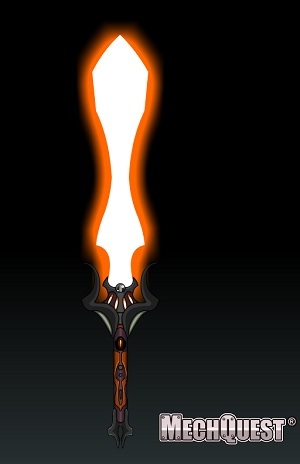 Weapon drawn by Thyton, colored by Dage, and I attached it to an arm designed by Minar which I recolored. Blues designed the specials and Vivi coded them up for us. Odessa's War Camp: I'm working on a mission which I planned to have done today but time got away from me and I'm still perfecting some of the graphical elements - the quest itself isn't that complicated, but I just want it to be more polished before you unlock it. So go after the Leprescythe & the Lucky Warriors over at the Rainbow Raid while you're waiting! Have a great weekend and thanks for playing MechQuest!